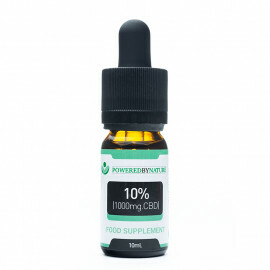 ‘POWERED BY NATURE’ – Manufacturing the finest quality cbd oils and cbd nutritional products. I treat my client's skin conditions, such as eczema and psoriasis with PoweredbyNature's Healing Balm and the results are amazing. In just three days there is a dramatic difference. I've been living with severe brain damage for 21 years due to a kick to the head from a horse when I was 10 years old. My life was transformed 4 years ago when I discovered hemp oil, so much so, I feel as if my brain damage is healed. Today, I live a normal life with time for work, my business, voluntary work and my garden. As a 60-year-old man who has had liver cancer for six years, as well as asthma and high blood pressure, I rely on natural remedies including hemp oil to alleviate my symptoms and keep pain at bay. Hemp has helped me so much, I now spend my time traveling round Denmark and giving talks on its benefits. We ship to almost all European countries. Dont hesitate to contact us by email or give us a call if you have any questions. We accept Visa and Mastercard and we are comliant with 3D Secure. Powered By Nature Ltd operated in accordance with the United Kingdom’s Misuse of Drugs Act 1971. The information on this website is not intended to diagnose, treat, cure or prevent any disease and is for information purposes only. Never disregard your doctor’s advice or delay seeking medical care because of something you may have read on the PoweredbyNature Ltd. site. The products sold on this site are for personal use only and not for resale.